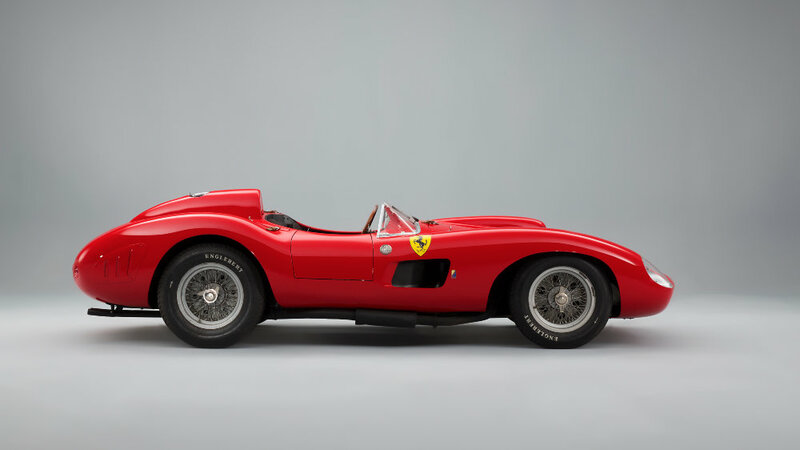 A 1957 Ferrari 335 Sport sold for €32,075,200 ($35,711,359) at the Artcurial Paris auction as the most-expensive car in 2016 and the second most-expensive car ever. The second most-expensive car sold thus far at public auction in 2016 was a 1937 Mercedes-Benz 540 K Special Roadster sold for $9,900,000 by RM Sotheby’s in Arizona. After the January classic and collector car sales during the annual Scottsdale week in Arizona and the Kissimmee auction in Florida and the Paris Rétromobile week in early February, an eclectic collection of marques makes up the list of the ten most-expensive cars sold at public auction in 2016. True to form, Ferraris are the most common marque on the list but currently the top-ten prices also include a Mercedes Benz, a Porsche, a Duesenberg and, perhaps more surprising, the two Plymouth Hemi Cuda American muscle cars. The most-expensive cars sold at public auction in 2016, and the second highest price ever paid for a car at auction, was for the 1957 Ferrari 335 Sport that Artcurial sold for€32,075,200 ($35,711,359) at the Paris Rétromobile sale. In euro terms, this Ferrari was more expensive than the 1962/63 Ferrari 250 GTO that sold for $38 million, which converted to €28.5 million at the time. This car, as an official Scuderia Ferrari entry, finished second in the 1957 Mille Miglia race with Wolfgang von Trips as driver. 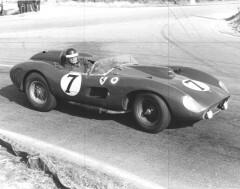 The same year, Mike Hawthorn set the first ever La Mans lap at a speed exceeding 200 km/h in this Ferrari. After helping Ferrari win the 1957 World Championship, the car was sold in the USA. It had its best finish ever when it won the 1958 Cuban Grand Prix in Havana in blue-and-white N.A.R.T livery. The car was in the Bardinon Collection from 1970. The 1957 Ferrari 335 Sport was only the sixth car ever to sell for more than $20 million and the second to break the $30 million barrier. The 1937 Mercedes Benz 540 K Special Roadster set the new Scottsdale classic car week record when it sold for $9,900,000 at the RM Sotheby’s Arizona 2016 auction. It narrowly missed out on becoming only the third Mercedes-Benz to have sold for over $10 million. The 1937 Mercedes Benz 540 K Special Roadster by Sindelfingen is an original US delivery car with known history. It is one of the earliest 540 Ks made and has the desirable long tail, high door configuration. It is believed to have covered only 10,277 miles since new. 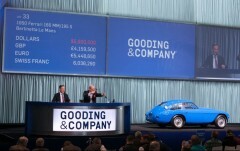 Gooding’s top result at Scottsdale 2016 was $ 6,490,000 for a 1950 Ferrari 166 MM / 195 S Berlinetta Le Mans. This car won the 1950 Giro delle Calabria as an official Ferrari works entry. It was sold to Brigg S Cunningham in 1950 and upgraded by Ferrari to 195S specification. It was the first closed Ferrari competition car delivered to the USA. The 1967 Ferrari 330 GTC Speciale set a new model record when it achieved $3,410,000 at the Gooding 2016 Scottsdale auction. Only four of the 330 GTC Speciale cars were ever made with this model originally belonging to Maria Maddalena Da Lisca, a Tuscan heiress and the wife of the pasta maker Piettro Barilla. She enjoyed the car and drove 33,000 km in it in less than two years. 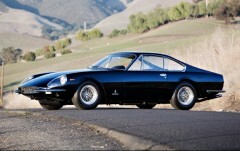 A standard Ferrari 330 GTC rarely achieves a fifth of this price. The 1962 Ferrari 400 Superamerica LWB Coupé Aerodinamico sold for $3,245,000 in a post-hammer deal at the 2016 RM Sotheby’s Paris 2016 sale. This was the first of only 18 built. As launch car, this Ferrari 300 Superamerica LWB Coupé Aerodinamico was shown a the 1962 Earls Court (London) and Chicago motor shows. A 1955 Porsche 550 Spyder by Wendler sold for a strong $3,018,400 at the Bonhams 2016 Paris classic car auction.This car was shown at the 1955 Frankfurt motor show before being exported to the USA where it raced to victory in its debut race at Waterbro. It is one of only 75 Porsche 550s produced for privateer racers, who could drive the car legally on both tracks and public roads. The 1929 Duesenberg Model J Disappearing Top Torpedo Convertible Coupe by Murphy sold for $3 million by RM Sotheby’s at Scottsdale 2016 as the most-expensive American car thus far sold this year at public auction. It is one of only six built and has covered only 17,000 miles since new. Although fully restored, the car is remarkably original. The Lemon Twist yellow 1970 Plymouth Hemi Cuda Convertible sold for $2,942,500 – the highest result at the 2016 Mecum Kissimmee auction. Only 14 of these convertibles were built in 1970, of which only five were fitted with the A833 4-speed transmission. The car has its original but rebuilt E47 426/425 HP Hemi V-8 engine. The car has covered only 27,500 miles since new and is in a remarkably original condition. The 2003 Ferrari Enzo that Gooding sold for $2,860,00 was one of eight Ferraris Gooding offered at Scottsdale 2016 from the Tony Shooshani Collection. This was the third highest result for an Enzo at public auction: RM Sotheby’s sold two for more in 2015: $6,000,000 for the Pope’s Ferrari at Monterey 2015 and $3.3 million in New York for a very low mileage example that belonged to Floyd Mayweather.